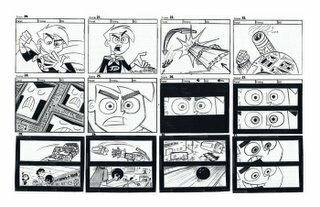 Here is a small segment from the storyboard I did for the Danny Phantom episode: "Identity Crisis". 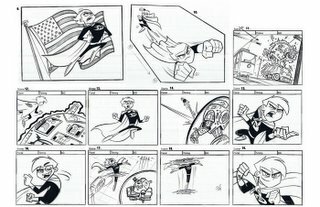 It's hard to post storyboards on a blog due to space considerations so I compiled a few sequential pannels but I left out all the dialogue, direction, and animation notes. The story, involves Danny splitting himself into two beings. One: an over the top super hero, and the other a fun-loving slacker, (hence the segment that goes split screen showing both of them.) I like to draw my boards as clean as possible. Aside from being fun to draw, it helps the overseas animation look as good as it can. This was boarded in November of 2004 and was one of my earlier attempts at boarding. 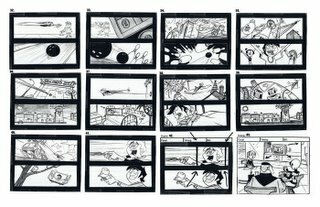 I've learned a lot since then, mainly due to the tutelage of Butch Hartman, and will post some of my better boards once the shows have aired. Let me know if it's too hard to read the pages in this format, and I'll try to come up with something better, or at least include the dialogue. Excellent work and amazingly clean! Awesome boards, Ben. 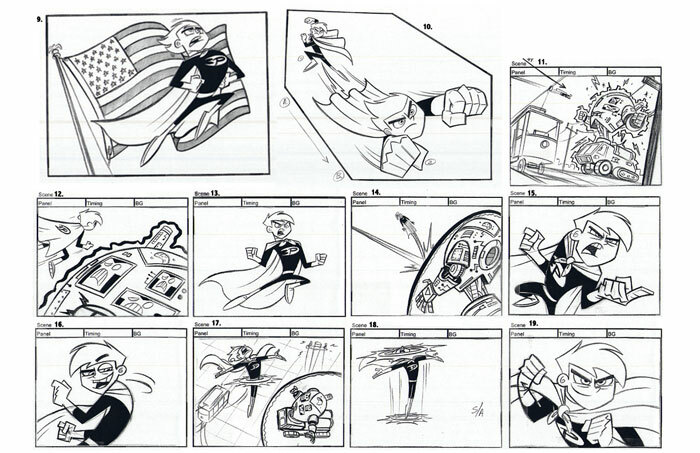 Great action poses and expressions! These are fantastic! So tight. Have you tried doing boards on the cintiq? Impressive man. 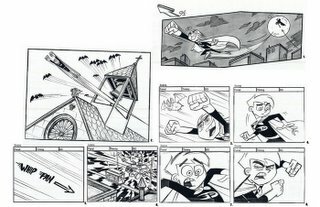 Nice to see you are just as skilled and talented in the art of your storyboards. Reads very nicely . . . .clean and clear! Damn! DUDE!!! this is AMAZING - are you single? Sweet boards man. Really nice. Look forward to seeing more. Fantastic looking boards Ben! Some of the later boards may be a bit small, but they still read just fine. Looking forward to more board work in the new year! All the best to you this holiday season! As always, thanks to all of you for taking the time to look at this stuff and leave all the great posts. I really appreciate them. Tyler: I haven't used my Cintiq for boarding, yet. Most of my board work is done at Nickelodeon, and my Cintiq is happily in my studio at home. It's WAY too big to transport. Nickelodeon is talking about getting them for all the board artists soon, however. It will definately be a great way to do the work better and faster. great stuff ben. i guess we'll be seeing you soon up here? I just finished crying a bunch, now I'm wiping my face and calling you bad names silently in my head. Really nice work. (she said, gritting her teeth in envy) We'll put a link on our blog to you, damn you Mr Balistreri!! It's cool to see boards a blog, even if they are a teeny bit small. Strong work always comes across. Can't wait to see more! Oh yeah , and love the pirate ship! Waaaaaa! Now I'm crying again!! :)-Arna S.
I totally dig your boards. Great stuff! 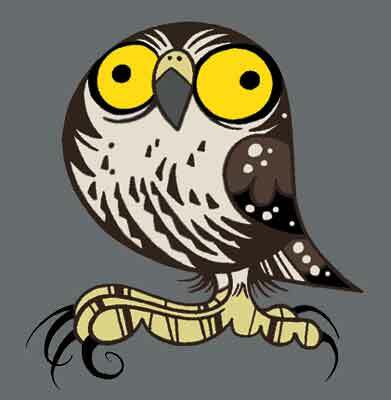 Ov!..Yes, some time soon. At least for a visit. Awesome! 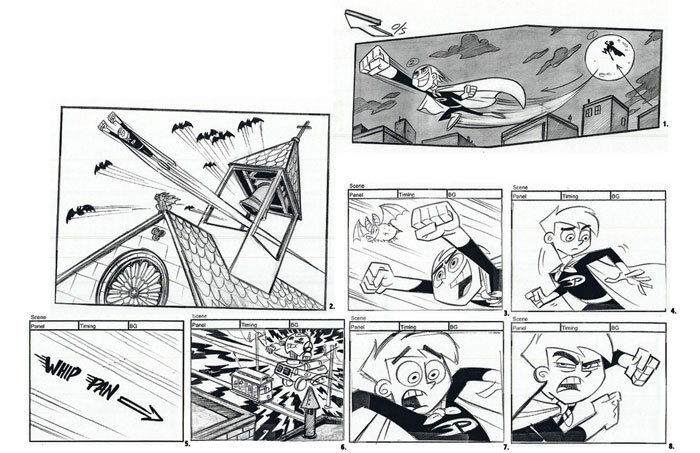 I heard that these storyboards were nominated for an Annie? Congradulations! I met Butch Hartman, he was really nice. I remember that split screen part of the show (I've seen every episode at least once)and I must say that was one of my favourite visual portions of the show I've seen. I found your storyboards particularly useful to introduce the storyboard as a literary tool for an 8th grade course. Do you think there would be a chance to exchange some information about this topic for our next year curriculum?